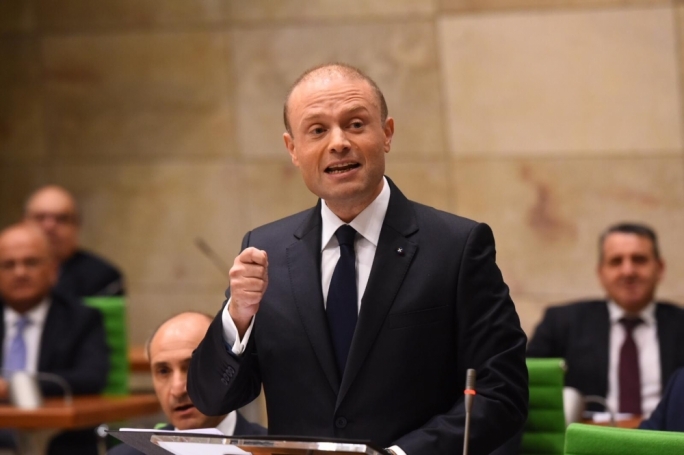 Last week’s Budget speeches saw both leaders accusing each other of being right-wing: Muscat for betraying his socialist principles and Delia his Christian-democratic credentials. Was it posturing or did it reflect a degree of truth? 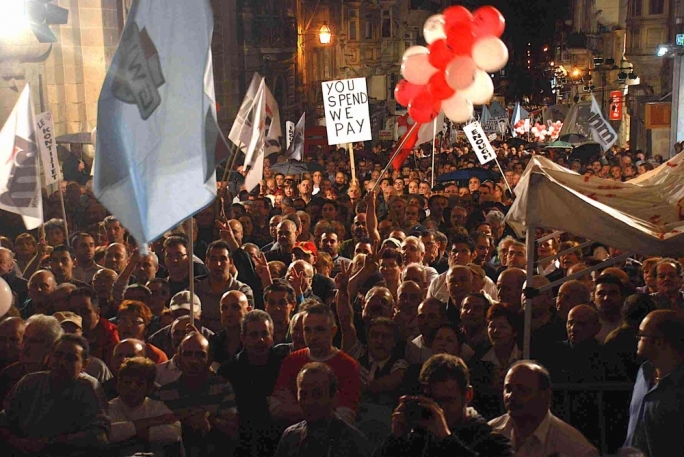 Judging by the speeches of the two political leaders earlier on this week, political ideology seems to be making a comeback after years of pragmatic centrism in Maltese politics. If both leaders are correct, the Maltese political pendulum has swung abruptly to the right, with Malta facing a choice between a neoliberal who cares little about the poor, and a populist far-right Opposition just a step away from hounding migrants in the streets. In reality, both cases are a caricature of a more complex reality. The Labour government actually pumps money into the welfare state and its main distinctive mark is reconciling its pro-business approach in fostering economic growth, with a strong welfarist emphasis. And while Delia does, on occasions, succumb to right-wing instincts on immigration, his Budget speech was exclusively focused on the threat of cheap labour and the pressure of the growing population on Malta’s infrastructure. Had Delia been a clone of Matteo Salvini or Marine Le Pen he would have focused on black asylum seekers or refugees – who according to surveys are still the main migration concern of the Maltese – rather than foreign workers, many of whom hail from EU and other European countries. The risk is that while Delia may only be speaking about numbers, voters are also likely to blame the faces behind these numbers for their daily problems. For it is always easier to blame those who are more vulnerable than those who are more powerful. 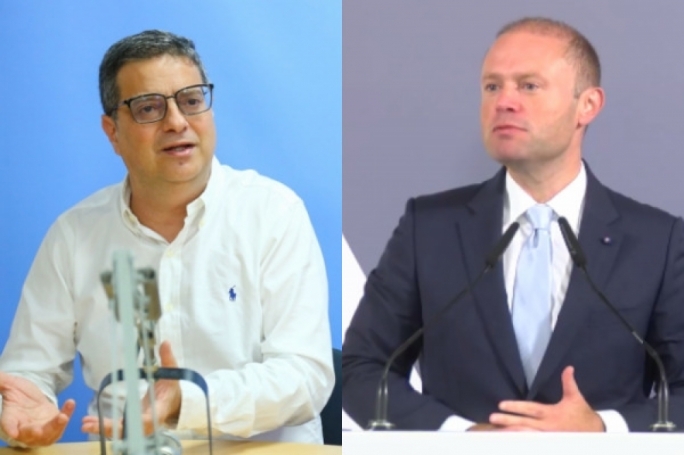 Does the approach of both leaders represent a rupture with the respective past of both parties as both Delia and Muscat suggested in their speech? 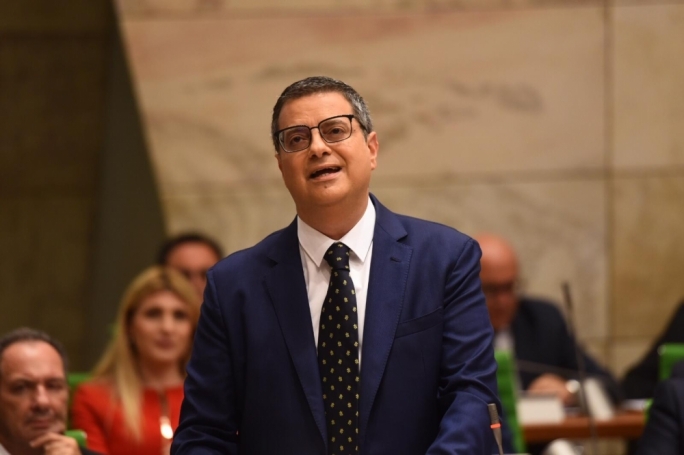 Delia himself quoted Mintoff scion Yana Mintoff Bland’s warning that the Maltese economy was based on precarious work, to underline this betrayal of the party’s socialist tradition. But Muscat’s economic approach still represents an element of continuity with his party’s 1970s focus on fostering the growth of a ‘national bourgeoisie’ to ensure the creation of enough wealth for redistribution to the working class. As Mintoff once explained in one of his parables, the rich are like the ocean whose wealth is evaporated by the socialist state to ensure that there is enough rain to replenish the soil, which feeds the workers. Even back then, the PN lambasted Mintoff for promoting a brand of exploitative state capitalism. But while the Mintoffian model hinged on redistribution through taxation, Muscat’s model hinges on increasing tax revenues derived from sustained economic growth, a policy which is reminiscent of Eddie Fenech Adami’s economic model… minus the structural deficits. And this may be why Muscat has pressed hard on the accelerator in sectors like construction and tourism, while finding new sources of easy revenue like the sale of Maltese passports, but is also struggling to attract pivotal industries like medical cannabis, Blockchain economy, and now Artificial Intelligence – all of which are yet to leave their mark on the Maltese economy. This was how Muscat managed to avoid the dilemma facing other European social democratic parties that have had to choose between raising taxes at the risk of a capital flight, or continue austerity policies advocated by the right wing. Muscat has managed to remain ‘fiscally conservative’ without resorting to austerity. Yet his timidity in addressing rising inequalities and sheer greed – not to mention the strong perception of corruption and lack of good governance – may be catching up with him as inflation bites off a greater portion of incomes. Delia did make an effort to present his own alternative model based on what he called “intelligent migration”, which would restrict non-EU migration to skilled labour while attracting more “productive” investments. He also vaguely hinted at further tax cuts and more pro-business policies, peppered by a greater concern for the environment. This suggests that despite the rhetoric, there is more convergence than divergence in the models adopted by the main political parties. In some ways this reflects the realities of an island nation, which lacks natural resources but can offer competitive advantages to potential investors. Yet in the end both parties seem to converge on the need for growth-oriented policies, which inevitably raise questions of long-term sustainability. And both converge on not confronting the business class, an understandable approach given the needs of a small economy to capitalise on its entrepreneurship. But one cannot ignore the tendency of the Maltese business class to use political influence to secure cheap access to resources like land. For Delia immigration serves as a convenient theme not to confront the elephant in the room: the fat cats who benefit from endless construction, and the wider segment of the population benefitting from higher rents and the availability of cheaper labour. For it is more politically convenient to scaremonger about numbers than to risk losing consent from the potential party funders and strategic electorate. Ironically Delia was very quick in shooting down the White Paper on rental properties, which at least starts addressing the problem of greed in this sector, which is undermining housing affordability. Where one notes a remarkable shift in the attitude of both parties is in their attitude towards foreign workers. Muscat’s “cosmopolitanism” does represent a departure from old Labour’s more protectionist instincts, which resulted in autarky in the 1970s and 1980s and resurfaced in Alfred Sant’s anti-EU campaign and Muscat’s own tirades against irregular migration when in Opposition. In some ways Muscat has retained an ‘us vs them’ dichotomy, with the roles being reversed. While Muscat made this comment in reference to low-skilled jobs like garbage collection which few Maltese want to take up, the concentration of foreigners at the top and lower end of the labour market raises the prospect of Dubaification where rich expats live in gated communities while workers in construction and tourism live in precarious conditions. Muscat’s only antidote to precariousness among lower end foreign workers is a debate on whether trade union membership should be compulsory. The advantage of this would be that everyone including foreigners would have nothing to fear if they join a trade union. One wonders how long it will be till this debate takes off. On the other hand, Delia’s exclusive focus on foreign labour represents a sharp departure from the party’s traditional openness and pro-European instincts. Although Delia is keen to distinguish between EU and non-EU foreign workers, the reality is that although the latter has grown from 4,000 to around 12,000 since 2013, workers from the EU still constitute the vast majority of the over-40,000 army of foreign workers. Where Delia could strike a chord without renouncing his party’s Europeanist heritage is in calling for more planning to ensure that any increase in population does not come at our cost of quality of life. One question he should be asking is whether the increase in population has made a mass transit system like a metro economically feasible to construct and maintain? In fact, many of the problems raised by Delia may be better addressed by good planning, greater investment in workers’ skills and better enforcement of labour laws. The beginning of a big debate? The positive aspect of the Budget debate is that for the first time, a discussion has started on Malta’s economic model on the choice of which voters have never had any real choice. It is also a debate where both parties largely converge. Back in 2013 in its electoral manifesto Labour had promised social impact assessments to assess the impact of policies on society as a whole. While the increase in foreign labour is more a natural progression of a process pre-dating 2013 than a deliberate policy, assessing the impact of population growth on the infrastructure and the Maltese way of life may help us address the challenges it presents better. Yet this pledge has not only been shelved at a national level but entire communities like Pembroke have been abandoned to their own fate in the face of mega-developments at their doorsteps. This has left a gap on the political left, which so far has been filled by ad hoc coalitions of social justice activists lobbying for an increase in the minimum wage, more affordable housing and a change in environmental policies.